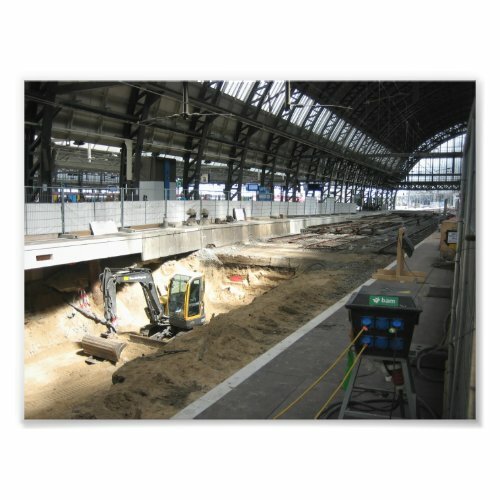 When I was at Amsterdam Central Station a few days ago, work was underway to create a new pedestrian tunnel. Only two rail tracks were closed at a time, so that the station could still be used. I could not access the part of the station where the work was going on, but I still managed a few shots with my pocket camera through the barrier.